Not only is it St. George’s Day today, and the night before Poem-in-your Pocket Day, but it is also the birthday of William Shakespeare. Well, it may not be the exact day, but it’s pretty close since he was apparently baptized on the 2 6th of April. Willy would be 450 years old today, but you probably already know that since the internet and airwaves have been full of Shakespeare quotes all day. So in honor of the Bard we bring you a sonnet, only fourteen lines so it’s the perfect size to take with you on PIYP Day tomorrow. This one was sent to me by a good friend today and I thought it might be a unique way for us to celebrate here on the blog. I’m not sure if I’ve had any of Rufus’s music on the Dad Poet before, but I definitely should in the future. 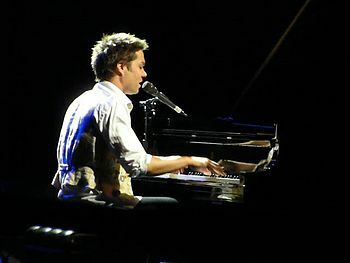 You’ll find the text below this video of Rufus Wainwright who put the sonnet to music. According to my friend Jody he did about 10 of these for an opera company in Germany but only recorded a small handful of them. She was lucky enough to hear him play all of them at Carnegie Hall two years back, just Rufus, the piano and William Shakespeare set to music. Would love to have been there myself. Happy St. George Day; Happy William Shakespeare Day and Poem-in-your-pocket Eve!